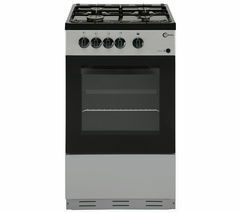 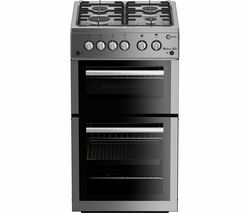 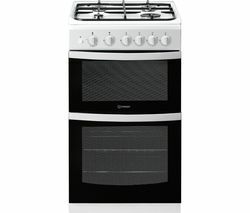 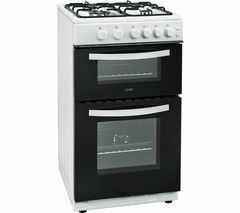 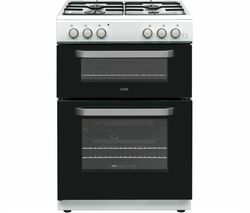 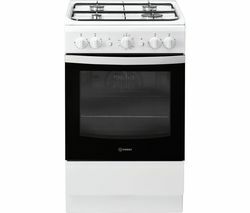 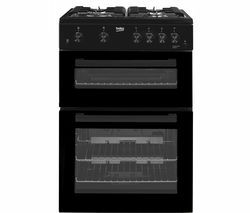 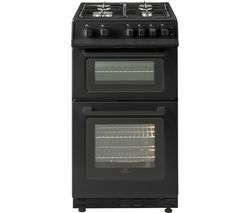 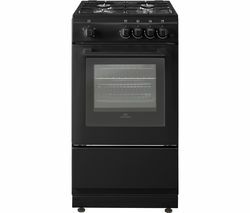 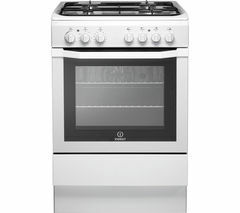 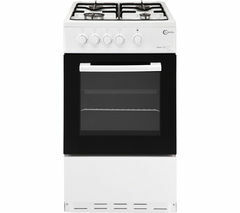 From baking, grilling, frying and more – achieve great cooking results with the Flavel FSBG51W 50 cm Gas Cooker.Instant heatWith four powerful gas burners, the FSBG51W provides fast and instant heat. 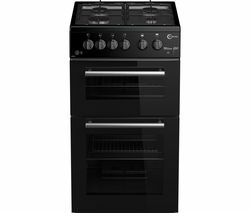 Whether you're boiling pasta or creating a delicious stir-fry, use the dial controls to turn the hob on and adjust to the perfect temperature.Oven & grillThe cooker's medium sized oven features five shelf positions, so there's plenty of space for all the family favourites. 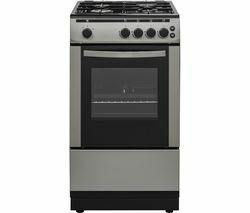 There's also an integrated gas grill with a grill pan and handle included. 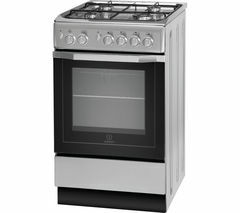 Quick and convenient, it's perfect for cooking meats or vegetables.Easy to cleanNot only is the FSBG51W easy to use, it's easy to clean too. 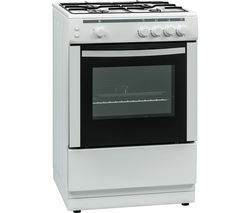 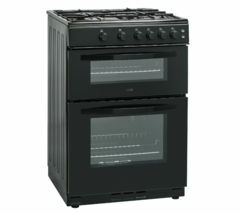 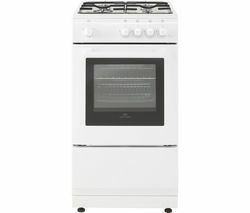 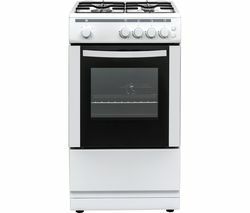 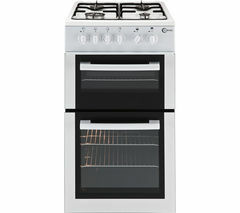 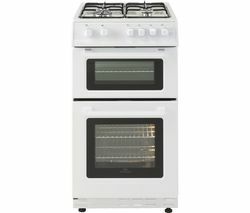 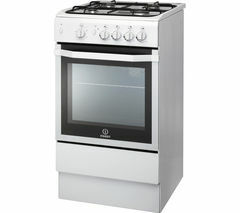 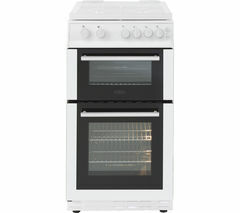 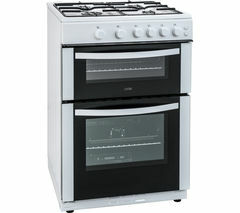 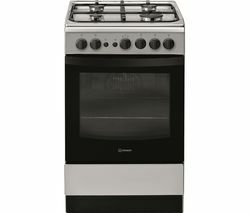 With durable enamel coating on the inner walls you can wipe the oven clean without the added elbow grease.What's more, the inner glass panel on the oven is completely removable, ideal when you need a deeper clean.Continental cookerContinental cookers have heating elements at the bottom, meaning that heating times may be longer.